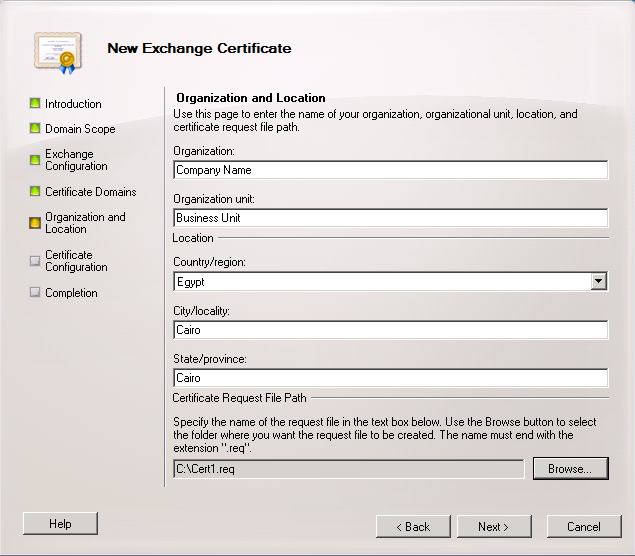 If you need to install an internal certificate server to create certificates for Exchange 2010 , remember to add the SAN certificates support to the certificate server as it is needed by the exchange server and will solve the problem of disappearing certificates after importing it to Exchange 2010. 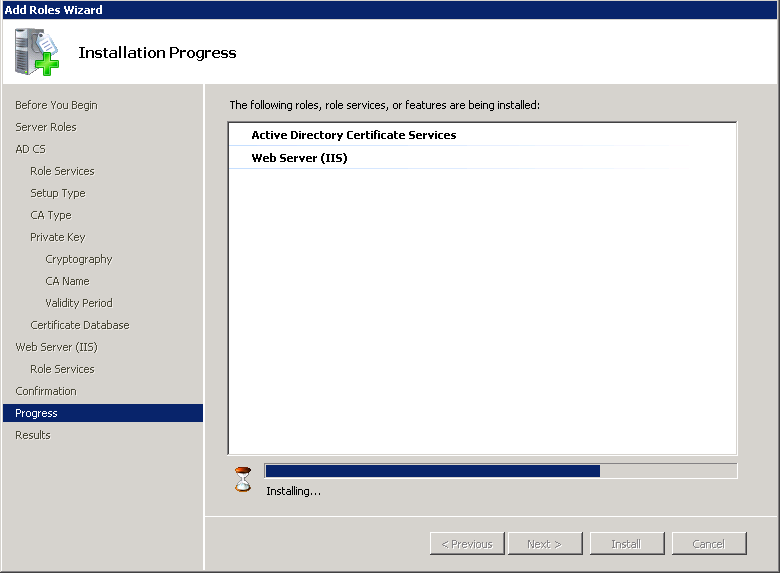 Install the Certificate Server. 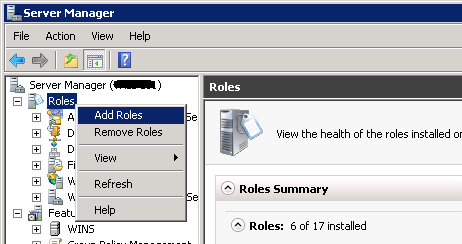 In Windows 2008 from Server Manager > Roles > Add New Role. Click Next, Next. 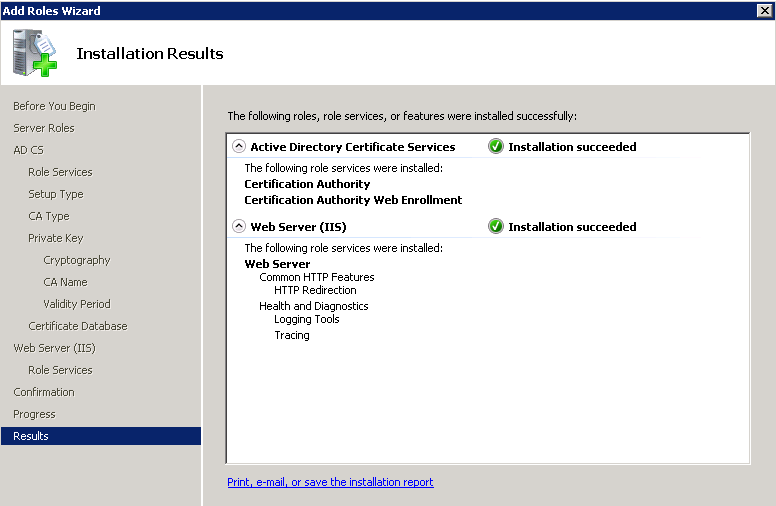 On the “Select Role Services Screen”, Select “Certificate Authority” and “Certification Authority Web Enrollment”. 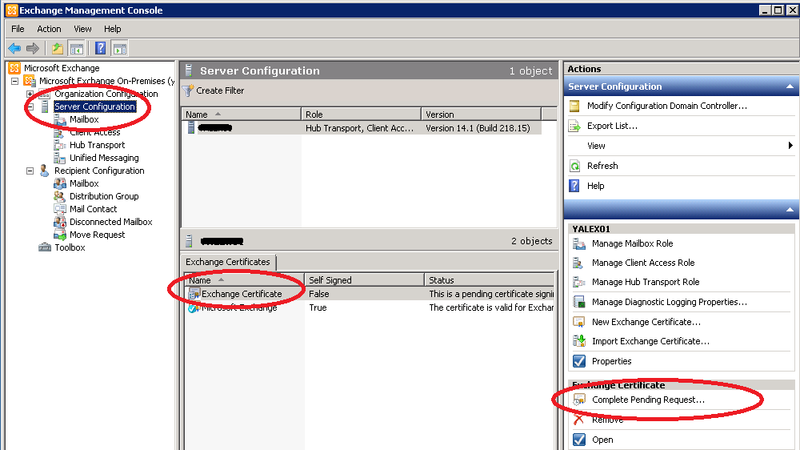 On the Certificate Database Location, leave the defaults, then click Next. On the “Confirmation Page”, Setup will warn you that the Domain name and setting can not be changed later after you install Certificate Authority. 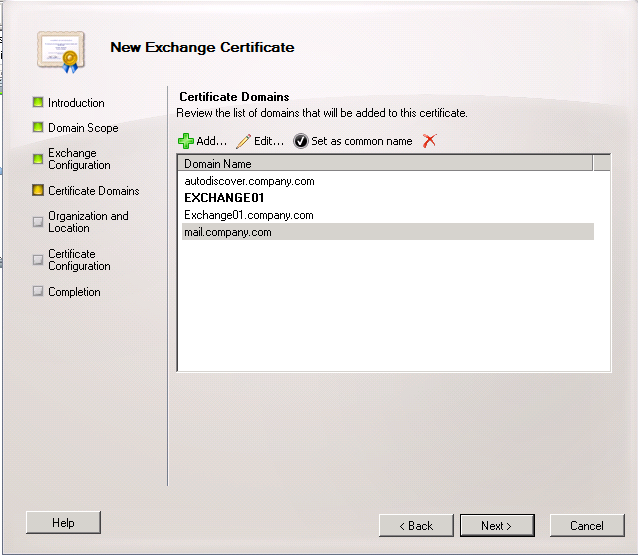 If you do not intend to change your Domain or Settings later, Click Install. 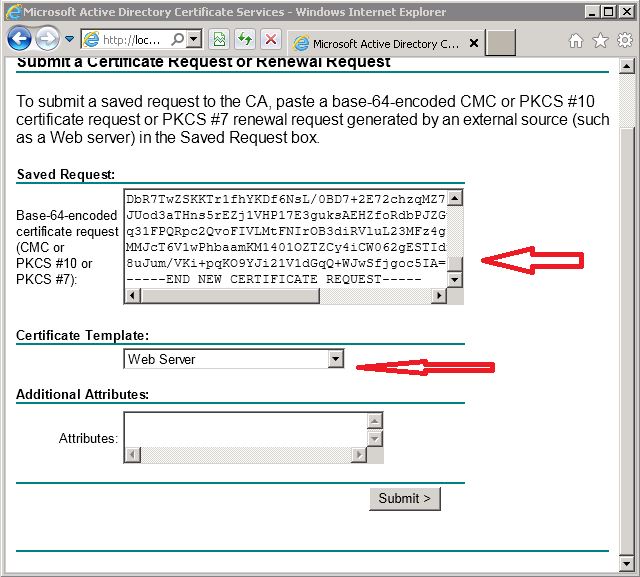 Then you will need to add SAN certificates support to your Certificate Authority. SAN stands for (Subject Alternate names). 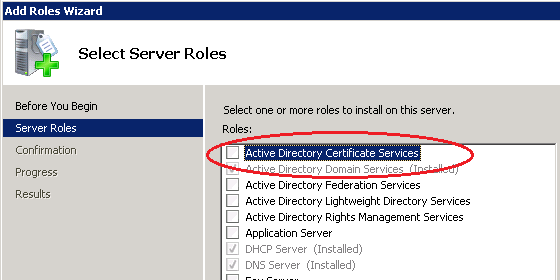 So that the certificate can be for more than one server name, e.g. Mail.company.com, Exch.company.com, Exchange01, ……. You can add additional domain names as well by clicking on the green Plus sign (Add…). When finished, click Next. 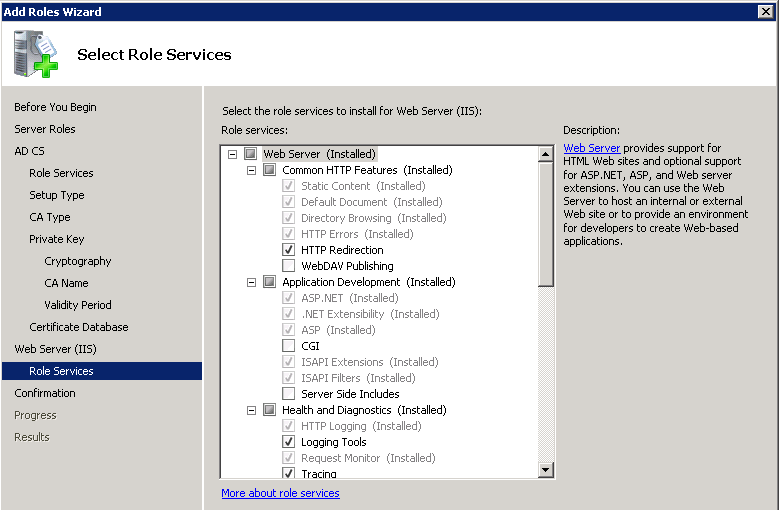 Paste the text into the webpage, and select ” Web Server ” from th Certificate Template list, Then Click Submit. 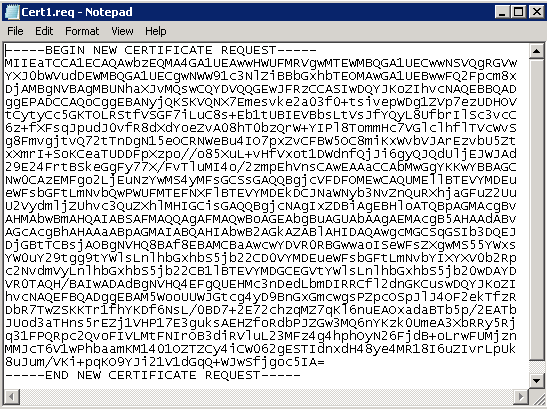 Select Base 64 Encoded, then click on Download Certificate Chain. Save the certificate to your loacl Disk. On your domain controller, start Group Policy Management Console (Start menu, type ” gpmc.msc “, Press Enter). 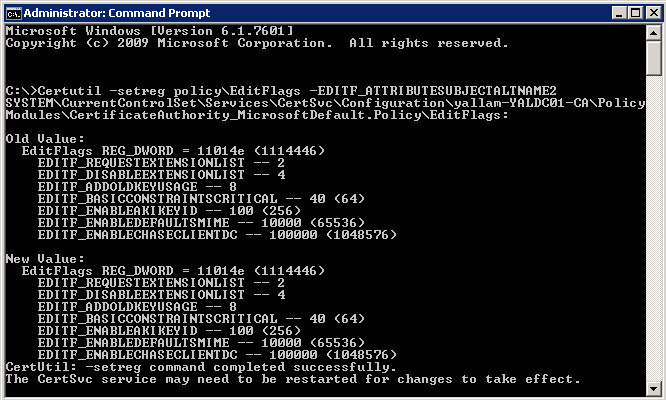 Either create a new group policy or use the Default Domain Policy to deploy it to every system. Use the import wizard browse over to your root certificate we have created earlier. 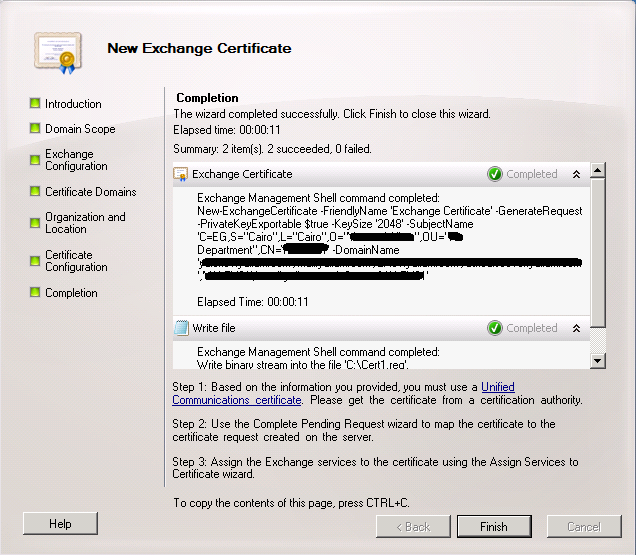 Open Certificate Manager by clicking the Start button , type ” certmgr.msc ” into the Search box, and then pressing ENTER. 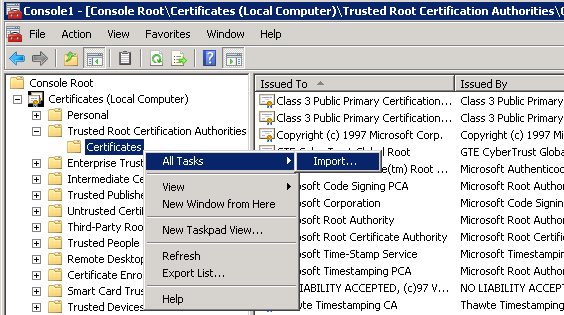 Trusted Root Certification Authorities > Right Click Certificates Folder, Select Import. Import the Certificate we have created earlier. 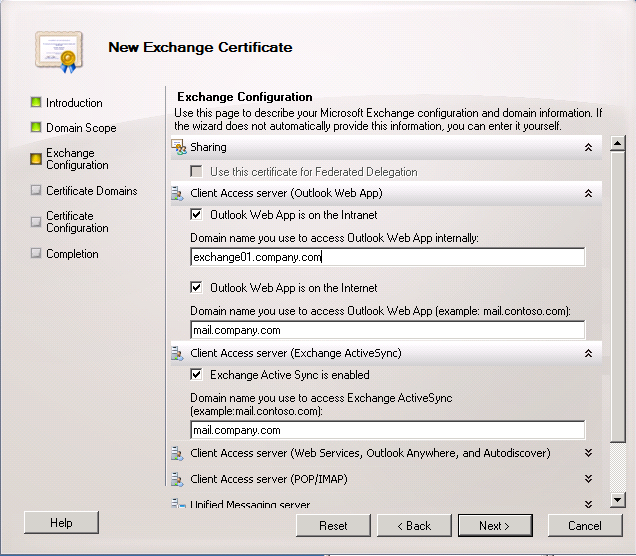 I hope I could gave you a brief idea on setting up internal CA to issue certificates for your Exchange server. Why do you import it into the trusted root certificate store? It will be trusted anyway as the Domain CA root certificate should already be in there! Thank you, very useful information. 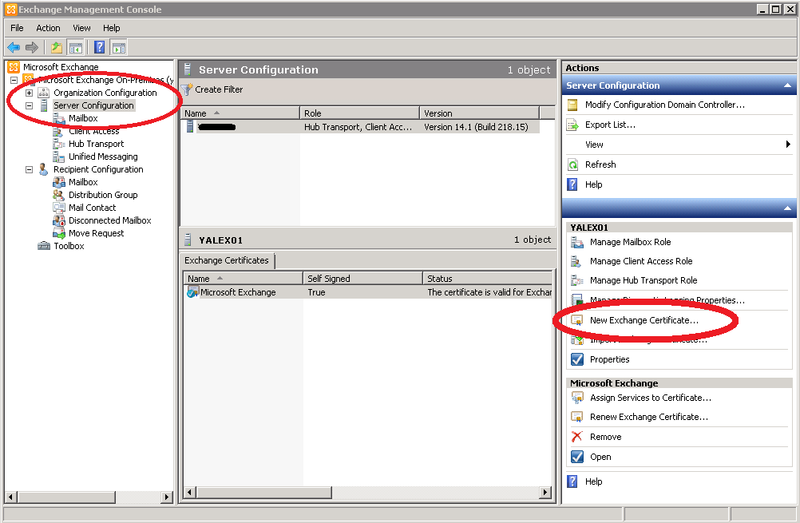 It helps me to install and configure cert for my MS exchange. Thank you. Worked like a charm. 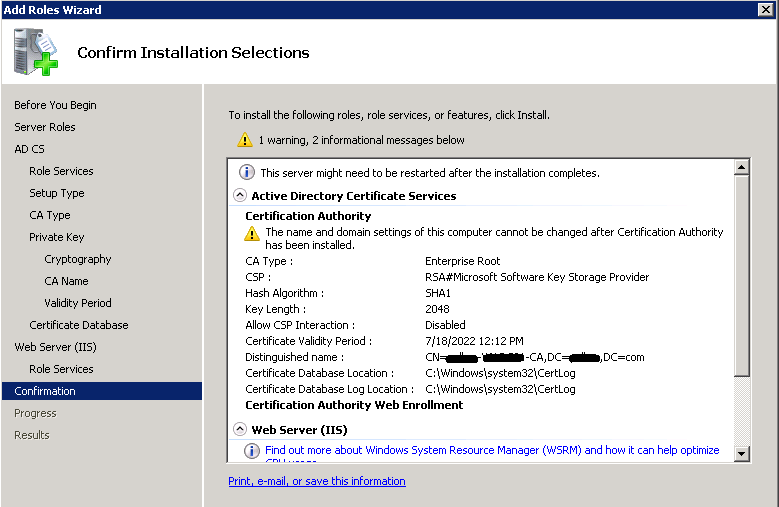 Choosing “web server” as a template and “download certificate chain” were the pieces I was missing. Super Efforts and even very nicely presented. Gold! Every post should be laid out this nice. Great Post!!! If you are using Windows 2008 R2. 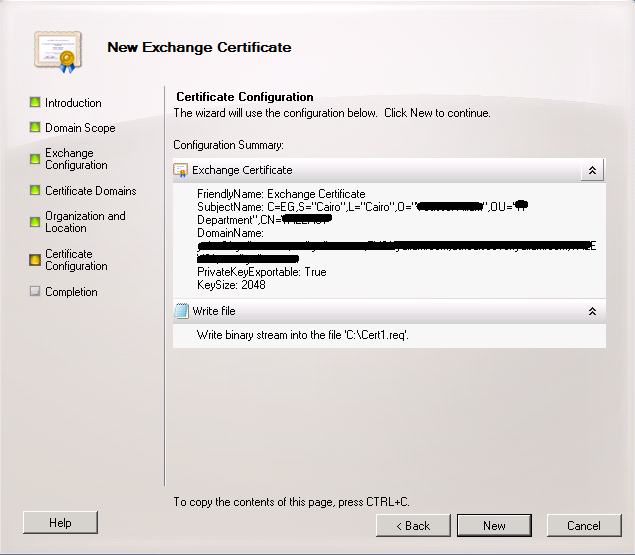 You must go into IIS, CertSRV, Authentication and disable Anonymous or else the advanced certificate request will not come up.